Please visit SeeedStudio promotion page for ordering details: SeeedStudio link. We are happy to release RF Explorer firmware v1.12B31 with support for WiFi Analyzer feature in the 6G models: Download link. Previous versions only supported WiFi channels in the 2.4Ghz range. This is immediately available for RF Explorer 6G, 6G Combo and WiFi Combo. One problem we faced while developing the WiFi Analyzer for 5GHz is the large number of channels and lack of official standards. Therefore we selected the ones more frequently used so we can fit 13 channels in the LCD screen. A future option will allow to select a different configuration where less frequently used channels can be listed, too. Known limitation: RF Explorer for Windows latest version available does not correctly interpret these channels, so this new firmware is intended for standalone use only. If you use it together with connected PC, frequency readings and channel numbers won't be correct. 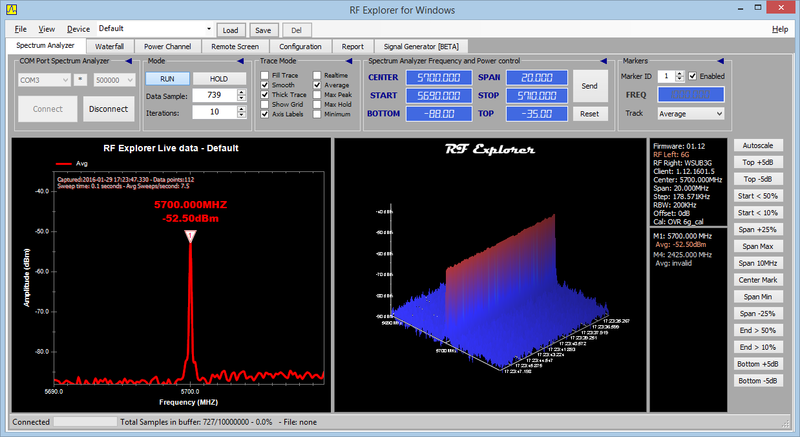 This will be resolved in an upcoming RF Explorer for Windows release in April. Tool Group for markers, easier and more convenient to use than menu. It has never been easier to place the marker you need! Signal Generator firmware v1.12 Beta 15: adds accurate power levels reading on screen. This is direct read from internal factory calibration tables stored in the device. 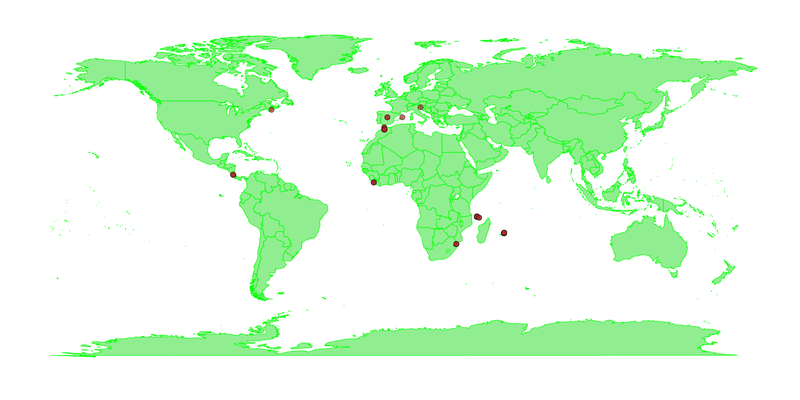 Our friends at ICTP in Italy are presenting a global effort to record TV White Spaces in a worldwide database. These are RF frequencies formerly allocated by TV broadcast but not actually used. By detecting these whitespaces certain licensed and unlicensed transmissions can benefit from it. This project is using RFTrack Android app and a connected RF Explorer to capture GPS & RF activity, then uploaded to a global repository. And this is all offered for free. As a community we can benefit from a global database with this information being timely updated. Contributors are appreciated: all you need is a RF Explorer and an Android device, record data from your local city and upload into the database. We are happy to welcome a new 3rd party software product for the RF Explorer family: Touchstone Mobile. 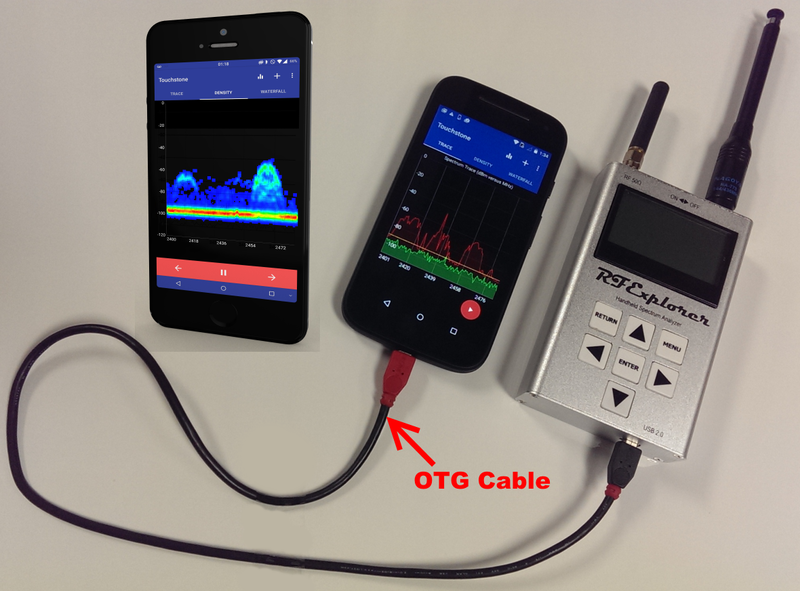 Our friends at NutsAboutNets have been working hard in the last few months to bring you a nice, cost effective software solution for Android devices with OTG USB port.